For a family seeking a dental home specializing in pediatric dentistry, they can take comfort in knowing that Dr Zak’s focus is all children from birth to eighteen years of age. Pediatric dentists usually recommend a child’s first visit to be between ages of one and three. Being a pediatric dentist specialist, Dr Zak has seen children as early as a few weeks old based on natal teeth. Dr Zak recommends having natal teeth removed. 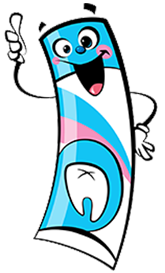 Dr Zak’s goal is to make your child as comfortable as possible so that they know dental health can also be fun. Pediatric dentists specialize in making children’s dental health our priority.